"I was in Paris the day the French Army was mobilized." 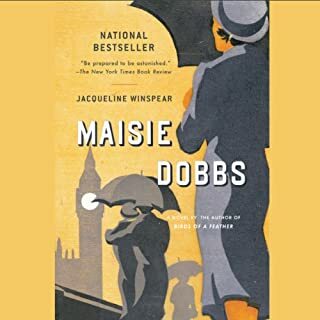 In 1914, while visiting her friend Madeleine, Lady Elspeth Douglas's life is thrown into chaos when war breaks out and the Germans quickly overrun Belgium, threatening France. Having just agreed to marry Alain, Madeleine's dashing brother, Lady Elspeth watches him leave to join his unit, and then she sets out for England, only to find herself trapped on the French coast. Caught amid a sea of stranded travelers, terrified refugees, and wounded men overflowing the port of Calais, the restless Elspeth - daughter of a Highland aristocrat whose distinguished family can trace its roots back to the court of Mary, Queen of Scots - decides to make herself useful, carrying water to weary soldiers near the Front. It is an act of charity that almost gets her killed when enemy shells begin to explode around her. To her rescue comes Captain Peter Gilchrist, who pulls her away from the battle and leads her to safety. But before they can properly say good-bye, Elspeth and Peter are separated. Back in London, surrounded by familiar comforts, Elspeth is haunted by the horrors she witnessed in France. She also cannot forget the gallant Peter Gilchrist, even though she has promised herself to Alain. Transformed by her experience, Elspeth goes to London and enrolls in a nursing course, where she meets a fellow nurse in training, Bess Crawford. It is a daring move, made without the consent of Elspeth's guardian, her cousin Kenneth, a high-handed man with rigid notions of class and femininity. Yet Elspeth Douglas is a woman with a mind of her own, which - as she herself says—is a blessing and a curse. She is determined to return to the battlefields of France to do her part . . . and to find the man she has no right to love, no matter how far Cousin Kenneth may go to stop her. But before she can set things right with Alain, he goes missing and then Peter is gravely wounded. In a world full of terror and uncertainty, can the sweetness of love survive or will Elspeth's troubled heart become another casualty of this terrible war? 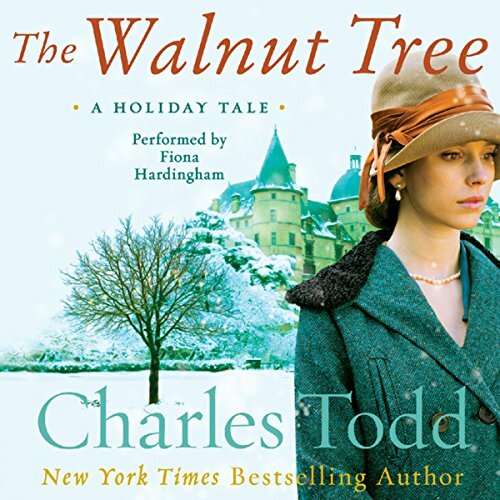 A poignant, compelling tale brimming with adventure, danger, and love, The Walnut Tree is an enchanting holiday gift and a wonderful companion to Charles Todd's acclaimed Bess Crawford series. 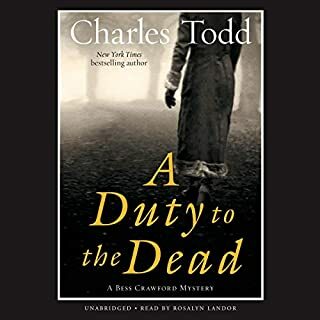 What it ISN'T is a Charles Todd mystery like the Ian Rutledge/Beth Crawford series. It is a nice little romance/adventure story written in a style which ought to appeal to someone looking for a light and easy read with a good story and not to much tedious attention to details. It should especially appeal readers who are dipping a tentative toe into historical fiction from that era. For those of you old enough to remember the Cherry Ames books Lady Elspeth is Cherry Ames reincarnated. Back in the day when I was a young and enthusiastic reader (still enthusiastic BTW) developing my reading tastes and cutting my literary teeth on historical fiction I went through the Cherry Ames books like a hot knife through butter. For those of you who don't remember them google Cherry Ames and you will see what I mean. If my Granddaughter was still in her teens I would definitely buy this book as a birthday gift as I know she would have loved it. For folks whose who are looking for a book written about this era but who want more realism I recommend Vera Brittain's excellent book Testament to Youth. That ought to be enough realism for anyone. Would you consider the audio edition of The Walnut Tree to be better than the print version? 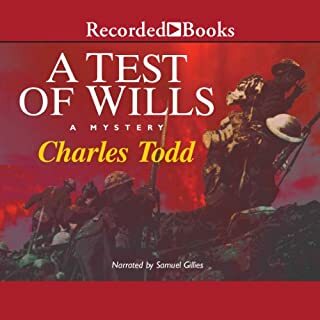 DId not read the print version, but I love to listen and to read Charles Todd novels. What other book might you compare The Walnut Tree to and why? A lot like the Bess Crawford series, Bess was even in this book. A little too much like Bess Crawford actually. What does Fiona Hardingham bring to the story that you wouldn’t experience if you just read the book? Hmmm, I always listen in my car, so that's hard to say. Keep them coming, Charles Todd!!! I don't give out a lot of five star reviews but this book deserves everyone of those five stars. I'm not overly sure why it's called "A Holiday Tale" because it is NOT a Christmas book or any other holiday you can think of story. I can in a way understand being called that, but it is far to complicated to go into here. This is the story of a young titled English woman living in France when WWI breaks out. She sees the need of nurses and travels back to London to train to become a nursing sister and returns to France to nurse the wounded and dying. She hides the fact that she is Lady Elspeth, from the doctors and other nurses. I'll leave it there but what a wonderful historical novel. 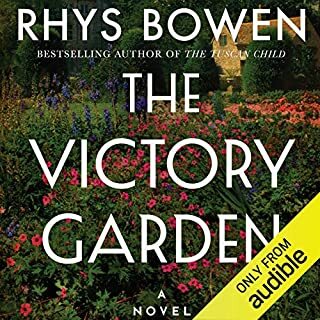 I both read and listened to the audible version. The Audible narrator was the best I have ever heard. English, French and Scottish accents were impeccable! I finally gave up reading and listened only. First rate everything. Clean book. No swearing, no violence, no immorality issues. Don't miss out on this book. Terrible Narrator. Don't Waste your credit. I tried to listen to this book 3 different times.Never got past disc 1. I have no real opinion about the story but the Narrator was AWFUL.She had a terrible French accent. She was shrill and annoying. I have a copy of the book and will try to "read" it later on in the Fall towards Christmas as it is billed as a "Christmas Story". I would definitely NOT choose a book with this narrator again. Loved Lady Elspeth and her desire to be of value despite or in spite of her class. Such a different point in time from our own and yet I felt each person's motivation was genuine and and I understood. My eyes have been opened a little wider in understanding just how difficult the war was in every conceivable way and how brave they all truly were. I love Charles Todd books, but this is my favorite. Love stories aside, the detail and imagery of the front line aid stations are excellent and gripping. Just as Rosalyn Landor is Bess Crawford, so too Fiona Hardingham brings Lady Elspeth Douglas and all the characters of The Walnut Tree to life. Like one reviewer said, I don't give five star ratings very readily, but this one is deserving all the way. 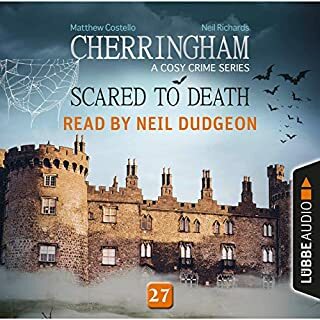 And having totally enjoyed both the Ian Rutledge books on paper and all the audio books of Bess Crawford, I was hesitant to read this stand alone. I was not disappointed but rather totally pleased. 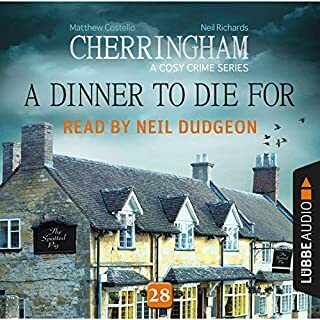 I found this book because I had just completed reading another book narrated by Fiona Hardingham and searched under her name to find another book narrated by her as I enjoyed the first one so much. NOT dissapointed! Looking for another one of her narrations now. Also very interested in WWI books that are historically correct but not too graphic. Meh. I'm a huge fan of both series, but this one...read like a mediocre attempt at a first novel. I couldn't hack it past chapter one and returned the book. I disliked this book mainly due to the flat boring monotone voice and bad pronunciation of the Narrator. It definately is not a Bess Crawford novel. All the Bess Crawfords are better than this, failing in any substance and very predicable storyline. Not for me I am afraid.